Let's be honest, nobody has the perfect skin all year long. At some point, we're always going to suffer from dark spots or imperfections. For me, my least favourite time of the year (after winter that is !) is the transition between spring and summer. This year our spring was very poor and so was my skin. You might ask why I hate the transition ? Well, in summer I do not wear an inch of foundation on my skin because my skin catches the natural sun and my tan hides all those imperfections we all hate. But, during that transition time were the weather gets hot but the sun is not fully out yet, my skin won't be at his prime time. This year, I suffered from a lot of dark spots caused by blemishes and I was so worried that they won't be gone by the time that dreaded time of year was going to arrive but seriously, LaRochePosay kind of saved the day (dramatic bit ;p). At the very very beginning of spring, I had the opportunity to try out the new LaRochePosay Pigmentclar product which is a serum that targets dark spots and pigmentation issues. The beauty gods heard me, because that's exactly what I needed (cue - Angels singing). If you have been reading my blog for a while, you know I do not talk about a product just to talk about a product. I truly test it out even if it takes weeks and weeks to make sure I am giving you the right and honest feedback. 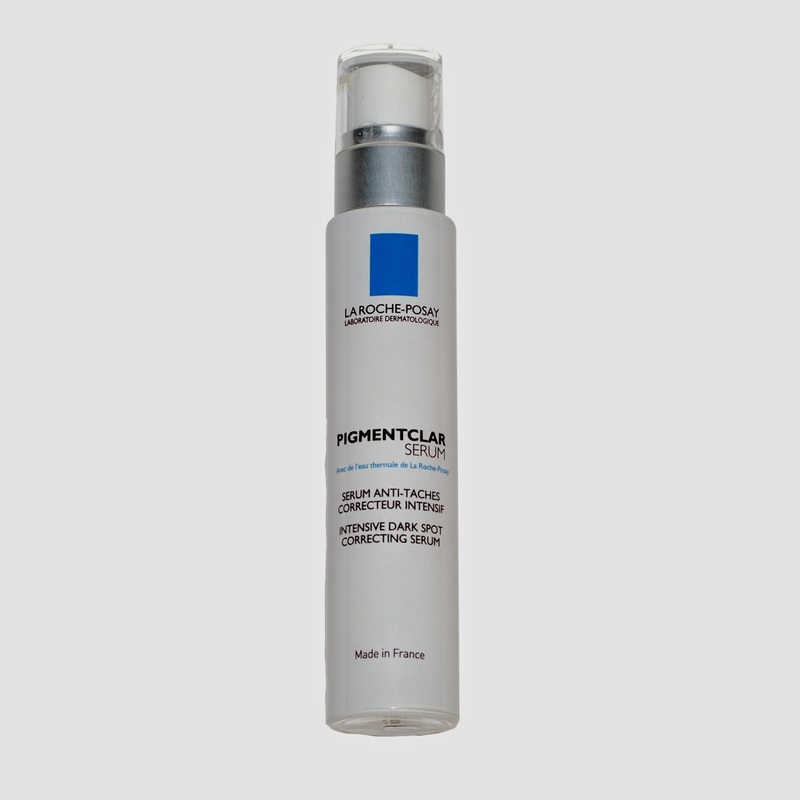 Well, in this case, my love for LaRochePosay has just grown to another level because I have been using Pigmentclar for 5 weeks now and I truly can see a difference on my skin and the fading of my dark spots. But don't forget this product is meant to be used on a long term basis to prevent the hyper pigmentation. Once again, LaRochePosay does not disappoint and has yet again, integrated my daily skincare regimen. A must in my book !